What do Mark Twain, Neil Armstrong, and John McCain have in common? They’re all descendants of a merry group of Scots-Irish braggarts that crossed the Atlantic from Ireland in the early 1700s and settled in America’s South. Also known as the “Other Irish,” this wild bunch of patriotic, rebellious, fervently religious rascals gave us the NRA, at least fourteen presidents, decisive victories in the Revolutionary War, a third of today’s US Military, country music, Star Wars, the Munchkins, American-style Democracy, and even the religious right . . . not to mention NASCAR, whose roots go back to Prohibition-era moonshine runners. Yet few Americans are familiar with the Other Irish or their contributions to American culture. 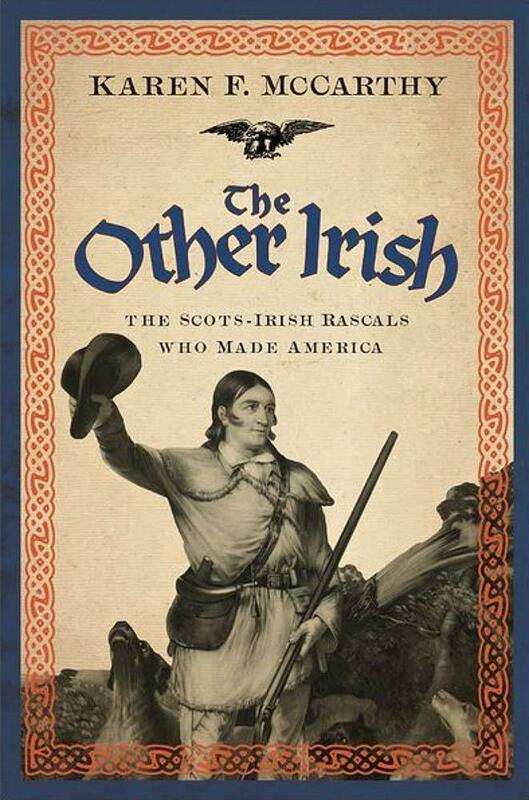 Now author and documentary filmmaker Karen F. McCarthy shines a probing light on this fascinating topic, illuminating the extent to which the Scots-Irish helped weave the fabric of our nation.